Listing courtesy of Cathy Staup Homes. Light Bright loft-like living. Top floor end unit, large open floor plan, high ceilings, new paint and hot H20 tank. New roof, windows, siding, deck completed. Detached private garage and parking space just steps from front door. 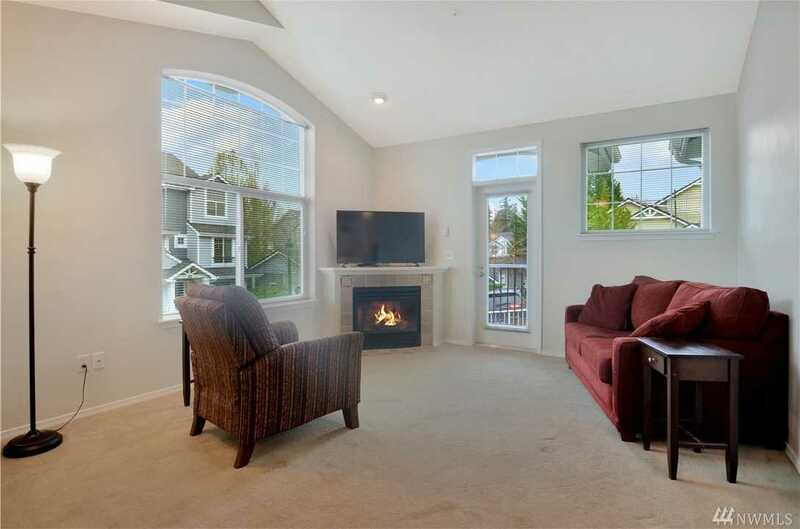 The location could not be more convenient, walk to buses, park & ride, minutes to I 405, Hwy 522 & 9. Woodinville Wineries, New Totem Lake Village, Bothell Downtown Redevelopment & Burke Gillman Trail nearby. The complex has a gym, pool, spa & club house. No rental cap. Directions: From 405, exit 22 go east over freeway take 1st left Brickyard Rd / Juanita Woodinville Way NE. 1st entrance on the left. Unit is in the 1st bldg. on left.